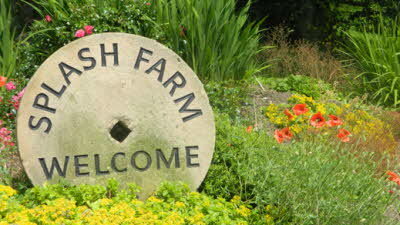 We are a hillside working farm overlooking the rolling hills of the beautiful Derbyshire Dales just outside Matlock. Set in an acre field, the site is set up with two terraced levels to take advantage of the stunning views to the West and as a result you will be blessed with some jaw dropping sunsets (weather permitting!). 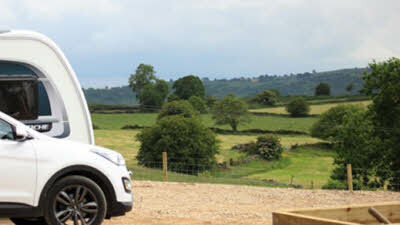 All pitches are level, hard standing and fully serviced with electric hook up, own water supply and grey waste outlet. 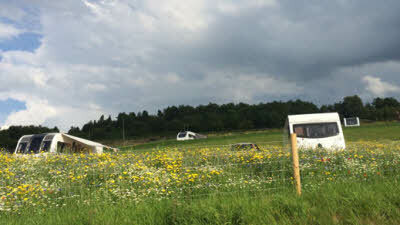 They are set in a natural meadow with wild flower meadow banks. CCEP and Recycling/dry waste points are situated on each Tier. Please note that our approach is quite steep so please make sure you have your pitch allocation before arrival as there is little room to turn if you arrive on the wrong level! Top Tier (pitches 1, 2 and 3) is the first level you come to and Bottom Tier (pitches 4 and 5) is a little further down. These are clearly marked. Arrivals strictly after 1pm and departures before 12 unless by arrangement, due to restricted access and no waiting areas. We welcome children and well behaved pets but as we are a working farm we would ask that these are supervised at all times and are not allowed to wander from the enclosed caravan site area. There is a public footpath direct from the farm access, which takes you to a beautiful woodland walk with natural dams and a waterfall. There is also Matlock Moor, belonging to the Forestry Commission, for extensive forest walks just a few hundred yards from the farm entrance. Although the site is peaceful and rural we are only two miles from Matlock Town with its Supermarkets, pubs, restaurants and vibrant vintage shops across the bridge. 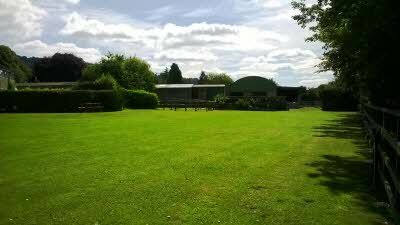 Matlock also boasts a fabulous leisure centre with gym, badminton courts and 25 metre pool and toddler splash pool. 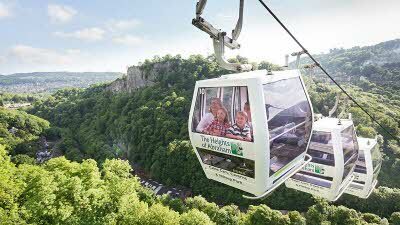 Just a little further Matlock Bath has amusements, quirky shops, Gulliver's Kingdom Theme Park and the Heights of Abraham with Cable Cars, Caverns and exhibits for those wanting a little more entertainment during their stay! 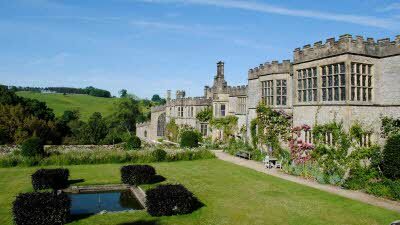 The stunning Chatsworth Estate is only a 6 miles away over the picturesque Moors, with its splendid House and Gardens, sprawling estate and farm shop. The market town of Bakewell is only 8 miles away and has a lively agricultural centre with livestock auctions most Mondays to coincide with the open market in the town square. It also has lovely little shops and a wonderful riverside walk. Chesterfield is a larger Town with big name shops and is also only 8 miles away. There are plenty of stunning walks a short drive away with too many to mention, such as Stanage Edge and Mam Tor. 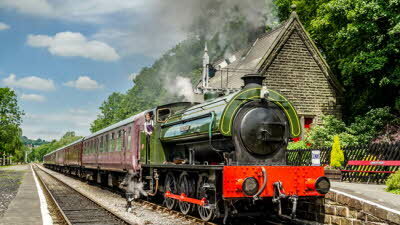 The Monsal Trail (path of the former Midlands Railway) is great for level walking and cycling. 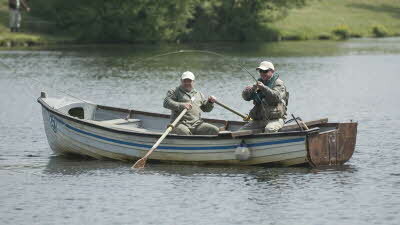 With so much to do in the area we recommend you visit our Website for more detailed information. Green eco chemicals required for the toilets - available on site for a small charge. Had wanted to stay on this site for some months so we booked well in advance. Was so looking fwd to staying here. Booked for 7 days Pitch 4 bottom tier. Very steep incline to bring caravan up or down can see why top tier would be more popular . Track In urgent need of repair pot holes uneven surfaces. 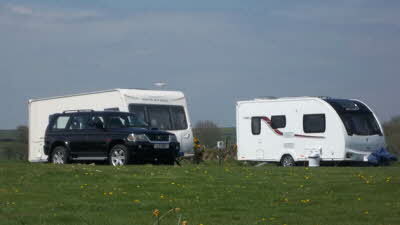 Can truly understand how some people have needed assistance to get out with caravan. Great having all facilities on hand. Short ride into Matlock. The walks are all extremely steep and totally unsuitable for anyone with mobility problems. Very dissapointing for us has hubby had to go it alone . The worst thing for us was the constant traffic up and down the track from 6.30 am onwards we live in a very quiet location and expected similar. But we were awoken most early mornings by traffic up and down the track and the steepness and unevenness didn’t help only added to the noise . Not a site we would come back to. As I said no contact or welcome from site owners in the whole week of being here . 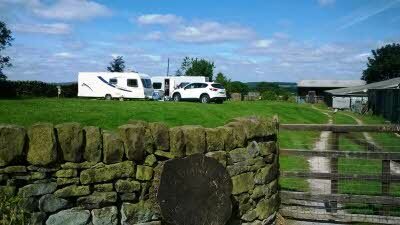 Just back from Tax farm after a 6 night stay , the pitches are large & flat with extensive views over the lovely Two dales valley & beyond . We did the walk down to the waterfall it is steep but manageable if you take your time , we know the area well but still found 2 new places we hadn't visited before . Many thanks to Joolz for making our visit a very pleasant one & her much appreciated help on the morning we left . Garry & Sheena . Arrived in bad weather but nothing could take the stunning views from this site, away from us. Very easy and unintrusive payment method which allows people to get on with your holiday. 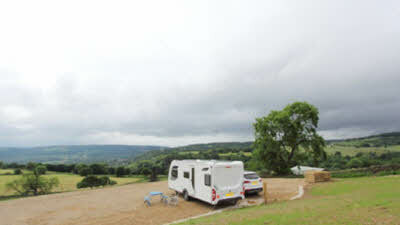 A central position to visit all the lovely places in the Derbyshire Dales. Matlock has a good shopping area with a new Marks and Spencer's for the lovely food deals. 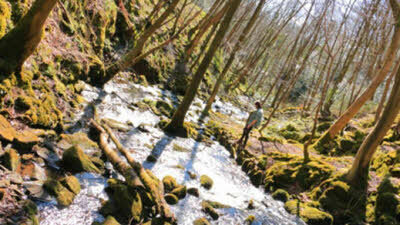 We have two dogs and enjoyed the forest walks great locally. Although we had two dismal days weatherwise, we still got to see lots of this great area Bakewell Market on Monday, dovedale and Ilam country park plus Carsington Water. We had two lovely days which enhanced the wonderfully autumnal scenery from the caravan. Would highly recommend and we will return in the spring as it is only 20 miles from home. Do not be put off by the approach road to the tiers. We had no problem getting in or getting out. 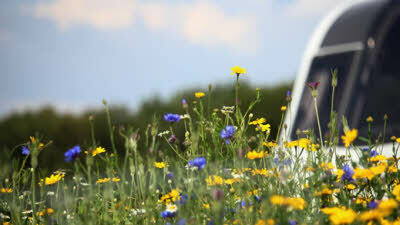 The routes in are recommended by the site and CAMC. Thankyou Joolz for a lovely place to stay. Met on arrival with a friendly welcome. 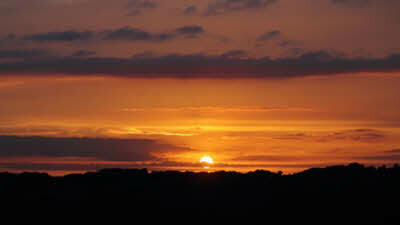 We were on the top tier overlooking the valley into Two Dales giving great sunsets. Follow directions given as you could get into problems in Two Dales with a caravan. The site has all we wanted and well spaced out and level hard standing. If you want space and views it's a brilliant choice. Forget the negatives on access, it's a working farm and what you expect sometimes. You don't get the views like this on flat boring big sites. Don't be put off , we managed fine with a twin axle without a mover ! 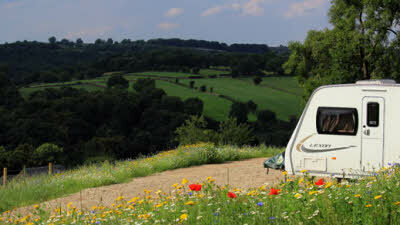 Excellent CL with beautiful views from all pitches, and great sunsets. Pitching areas were spacious and having water and waste on all pitches made it as convenient as being at home. 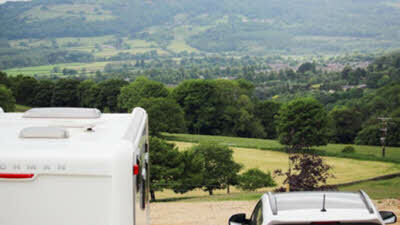 As we were coming from the west, we approached via Matlock itself, but even with a large twin axle we managed fine to negotiate the sharp left turn off the main road. You can also continue to the nearby roundabout and come back to make the turn much easier. The road up from Matlock is quite steep and twisty, with plenty of parked cars, so best attempted before everyone gets home for the evening. Leaving, we were going north so used the suggested route, which was very easy. Do not try to come up from the A6 through Two Dales to Jaggers Lane as that bit of the road is narrow and twisty and there are also parked cars. The farm track is steep and quite bumpy, so best taken slowly. Very pleasant and helpful owners. The basic price at the time of our visit (July 2018) was £17.